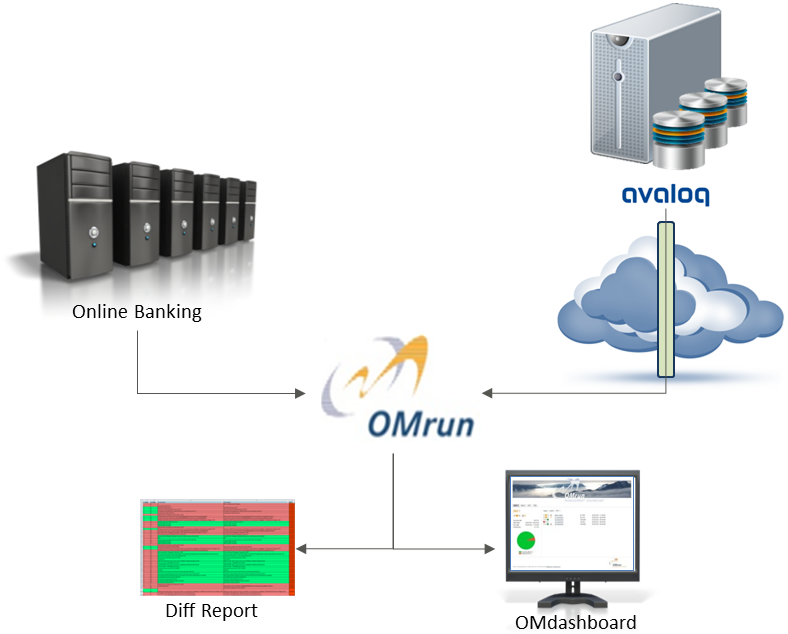 A global private bank outsources the operation of its Avaloq servers to an external service provider. After the first Avaloq release changeover had been completed, the project staff found that the different data sets were no longer synchronised. Inadequate data quality for customer reporting was an unacceptable side-effect of this system outsourcing measure. Via the banking system's architecture, sensitive areas from Avaloq can be reconciled with the content of the separate online banking system. This involves OMrun obtaining the comparison data from both systems and comparing it. To query the data from Avaloq at database level (Oracle), an additional authentication check must be incorporated beforehand. It thereby becomes possible to perform an automated, rule-based comparison of both sides simultaneously at data level. This process is performed before and after each Avaloq release changeover, in order to eliminate regressions at system test level. The data reconciliation results in a detailed report of the differences (rule violations), which is used as the basis for making corrections in the test system. To conclude the data quality checks, automated retests are performed, also with OMrun. Thanks to this process, the private bank can now also control the quality of its data after system outsourcing.